En Garde! 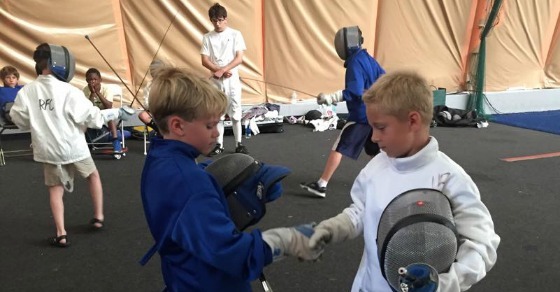 Campers will don a protective wire mask, chest guard and glove and learn the basics of fencing. We will use dry foils with button tips for all participants to prevent injuries. Your child will feel like a real musketeer as they square off against opponents and take part in several bouts throughout the week. Camp runs with a minimum of 8 campers per session. Space is limited to 15 campers.